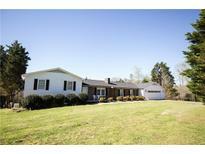 Find Taylorsville, NC Homes for sale. View Photos, Maps and MLS Data Now! Large Basement Garage With Ample Room For The Workshop. MLS#3498262. Apkee Properties. Being sold AS-IS. Great investment opportunity. MLS#3497672. Carolina Realty of Wilkes, Inc.
Full basement. Garden area bordering creek. MLS#3496596. Buy Rite Realty, LLC. Sherwood Forest - New Light Fixtures Upstairs and in all Bedrooms. Rock Columns. New Garage Doors. MLS#3496265. Premier Realty Advisors. Venture downstairs to get away from it all in the den area. MLS#3495754. Weichert, Realtors - Team Metro. Walking distance to downtown Taylorsville shops and dining. MLS#3495629. RE/MAX Properties Plus, Inc.. The property also includes a metal storage building perfect for protecting outdoor equipment and a 2 car detached carport. MLS#3495315. Keller Williams Realty Mooresville/Lake Norman. Green Meadows - Convenient location to Hwy 64/90 and Hwy 16. MLS#3493950. Weichert, Realtors - Team Metro. Basement features spacious two car garage and den/flex space! MLS#3493346. RE/MAX TRADITIONS. Magnificent views of the lake from every room in this home. MLS#3493220. Weichert, Realtors - Team Metro. Storage building, garden areas, nice landscaping, 28’ X 19’ covered dock. MLS#3492287. Coldwell Banker Boyd & Hassell. Metal roof and AC/Heat 2010. Tankless water heater. MLS#3492377. Hickory Real Estate Group, Inc.
New metal roof,new vinyl siding on home,new railing on front and side porch.New storm doors and some new storm windows.Agents pleasr see Agent remarks below. MLS#3491374. Real Living Carolina Property. This home has been loved and well cared for. MLS#3491228. Invision Group Inc.
Windsor Pointe - Open floor plan .Plan your cook outs on picnic tables beside lake boat slips Boat ramp and Pier , Lake access, you will receive a remote for entrance but for now there is a temporary code at gate for entrance Motivated Seller MLS#3487490. Century 21 American Homes. Last but not least this property also has another detached 16x24 outbuilding that makes a perfect "She Shed", Potting Shed, or anything else you wish! MLS#3490641. Tarheel Realty II. Selling price is for 15 acres. up to 23 available. MLS#3488733. Clickit Realty. Home is conveniently located minutes from Hickory, Lenoir, Wilkesboro, or Statesville. MLS#3488327. Realty Executives of Hickory. Exterior storage bldg. stays. .63 Acre lot. MLS#3482871. L.B. Rollins, Inc..
Terrace Lawn - Lots of space for the money. MLS#3485696. Doug Madison Realty. The remainder of the lower level is designed for additional storage and a large workshop accompanied by wood burning stove. MLS#3484812. Weichert, Realtors - Team Metro. The site improvements include a storage shed and a storage building. Will not last long. MLS#3476732. Rhyne Realty & Appraisal Service. Enjoy country living without sacrificing convenience with this property! MLS#3483431. Weichert, Realtors - Team Metro. MUST SEE! 547 Jay Burke Rd. MLS#3481467. Cooper Southern Properties. Double Carport plus storage, plus outbuilding. MLS#3472968. Prime Properties Group, LLC.